SIM Malawi’s work to Pursue the Unreached includes outreach to unreached, or little-reached people groups, such as the Yao people, animistic communities, as well as to those of other world and traditional faiths and beliefs. Much of this work is centred around the shores of lake Malawi from Salima to Mangochi as well as in the mountains towards the Mozambican border. A significant development in the outreach to the Yao people group came with the completion and publication of the Bible translated into ChiYao, the language of that people group. Some 20 or more years in development, the production of this version of Bible has been a great help to missionaries working with the Yao. SIM Malawi is also supporting the establishment of Radio Lilanguka, a community radio station in Mangochi, broadcasting to Yao communities in Malawi and into Mozambique. 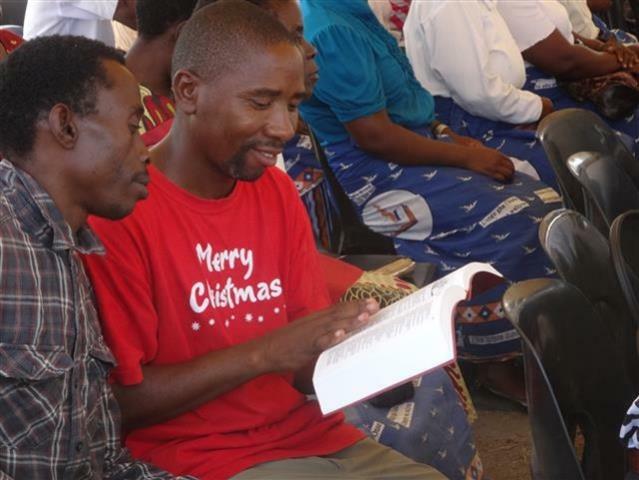 Another significant element of the work to reach out to unreached people groups is through the ministry of Mthenga Wabwino (Good Messenger). This ministry is looking to train and equip pastors and church leaders in how to build relationships and evangelise unreached people groups and those of other faiths through the provision of training courses and the production of first-class written and visual resources. We are also working among the Indian diaspora community of Malawi, who adhere to a number of different world religions, and hope to also begin a ministry to the Chinese diaspora here as well.